Allows multiple vendor prices to be added to each item. 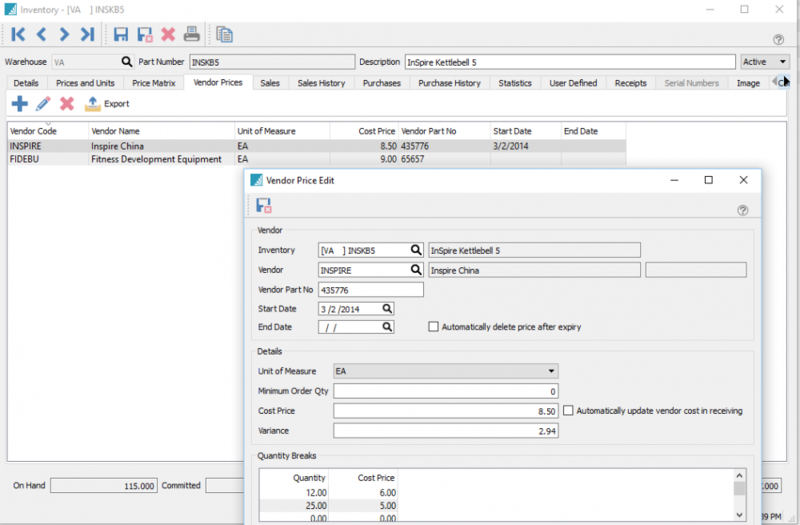 Vendor Part No – Part number the vendor uses and will print on Spire’s default purchase order number instead of companies part number. Automatically update vendor cost in receiving – When a PO is received and the cost is different than this, this price will be updated ONLY if it does not have a start or end date.